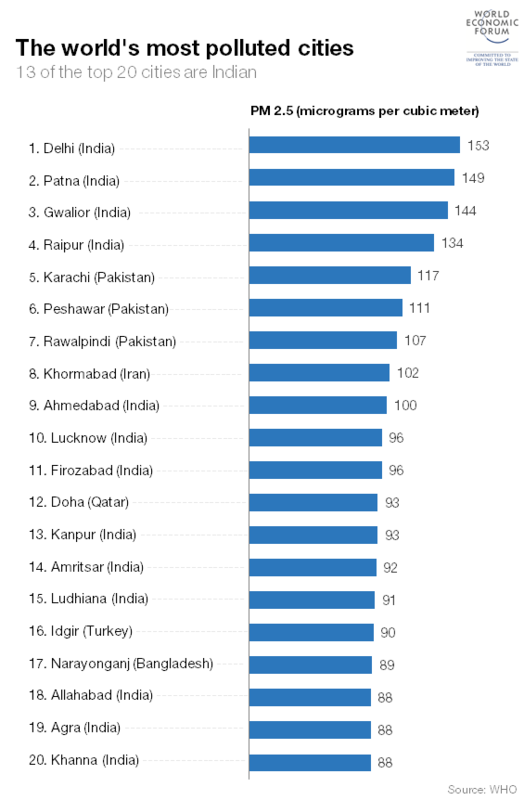 Which is the world’s most polluted city? Ask anyone to name the most polluted city in the world, and chances are the immediate response will be Beijing. In truth, the Chinese capital is only half as polluted as the city in the top spot – Delhi. In fact, 13 of the top 20 most polluted cities in the world, according a World Health Organization (WHO) report from last year, are in India. This has led to fears for the health of children living in Asia’s third largest economy.